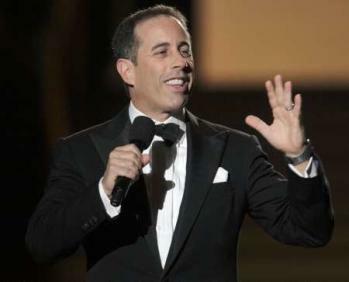 Jerry Seinfeld remembers the humiliation of being heckled and ignored as a struggling comedian in the 1970s. On one particularly soul-crushing occasion, patrons at a New York discotheque continued dancing through his act as though he weren't even there. The challenges, he admits, made him a stronger person and a better performer. "I don't mind suffering. You suffer in all things — work, relationships, whatever else you do … Unless you're eating ice cream, you're suffering," he reflected in a recent interview. Although , or losing a loved one, it's clear from his words that this period affected him dramatically. Seinfeld's trials may not compare to an illness or accident, but the fact that he went on to star in one of the biggest TV sitcoms of all time, constitutes what research psychologists Richard Tedeschi and Lawrence G. Calhoun call "post-traumatic growth (PTG)." What doesn't kill you makes you stronger. The term refers to any positive change experienced as a result of a major life crisis or traumatic event. And although the idea of learning and growing from one's suffering is not a new one, the systematic study of this phenomenon by clinical researchers and scientists is relatively uncharted territory. "The more we got into talking to people and doing research the more it appeared to us that many people instigate changes [after trauma] that are quite substantial and quite real," says Tedeschi, who teaches psychology at the University of North Carolina at Charlotte. There is no standard to determine what constitutes trauma or what constitutes healthy growth. So Tedeschi and his team are working on figuring out why some people experience PTG and why some people don't. What they found is that people with a moderate aptitude for psychological adjustment were the most likely to show signs of PTG, while those with difficulty adapting exhibited the least growth. Surprisingly, those who exhibited a high aptitude for psychological adjustment demonstrated the least signs of change, but for very different reasons. Largely because they already understand that hardship is a part of life. "The people who show little post-traumatic growth because they're quite resilient have ways of understanding themselves and the world which are able to consider the traumas they've been through, so they're not surprised by it that much" says Tedeschi. For those folks in the middle who experience the greatest growth, Tedeschi sees five areas of positive change. "Sometimes people who must face major life crises develop a sense that new opportunities have emerged from the struggle, opening up possibilities that were not present before." This can often mean looking at the world in a more hopeful, optimistic way and not sweating the small stuff to the same degree. "Some people experience closer relationships with some specific people and they can also experience an increased sense of connection to others who suffer." Loss or struggle has the ability to make us appreciate our friends and family and the limited time we have with them. Similarly, a shared experience can make us more empathetic toward the suffering of others. A third area of possible change is an increased sense of one's own strength — "if I lived through that, I can face anything." The idea we can't be felled by struggle can lead us to be more confident in our ability to get through anything life throws our way. If you've ever spent a week stuck in bed with a nasty flu, you know how that first day of wellness feels: everything feels brighter, smells sweeter. Multiply that effect by a hundred and you'll understand why the grass really can look greener to people after coming through trauma. "Some individuals experience a deepening of their spiritual lives, however, this deepening can also involve a significant change in one's belief system." A renewal in faith, or the desire to seek out a new set of beliefs is common after a traumatic experience. A more intense and rich faith often results. Tedeschi is adamant to point out that he's not suggesting trauma is a positive thing. Rather, the potential for growth is simply a positive outcome from a negative situation. He also highlights that PTG is not a universal human response, and for those who don't experience any change, it doesn't mean you're doing anything wrong. At the same time, he's continually humbled and amazed by the courage he witnesses from ordinary people in extraordinary circumstances. "When you really start paying attention and listening to people's stories you gain a lot of respect for what human beings are capable of."